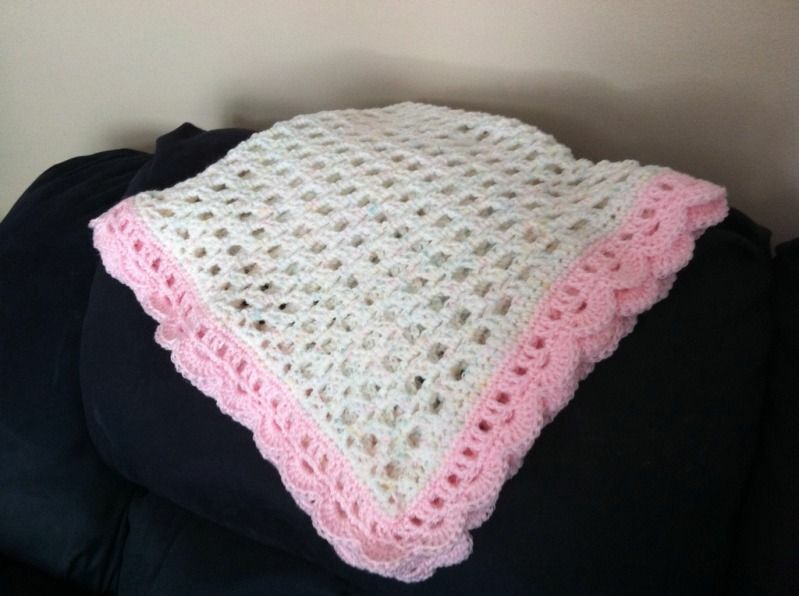 I finally finished my sister's baby blanket today. By the time I was done I was having major cramps in my hands and could barely crochet, but I really wanted to get it done. They were over here visiting so I was trying to get it done before they left but they had somewhere to be. I did finish it about 10 minutes after they left though, and they will be coming over for dinner tomorrow so I can give it to her then. I joked that with my last 3 kids I went into labor within a few days of finishing their blankets, so hopefully the magic extends to her baby too lol.